Typical Pigeons’House in the Dordogne with private pool for 2 to 8 people. A member of the Tourist Office. 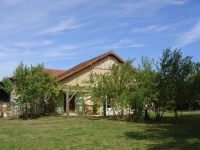 Durchamp is an old renovated farmhouse, near the medieval village of Bazoges en Pareds.